Crafters Companion > Blog > Let it snow…Let it snow… Let it snow! Let it snow…Let it snow… Let it snow! Are you in need of some last minute Christmas card inspiration? 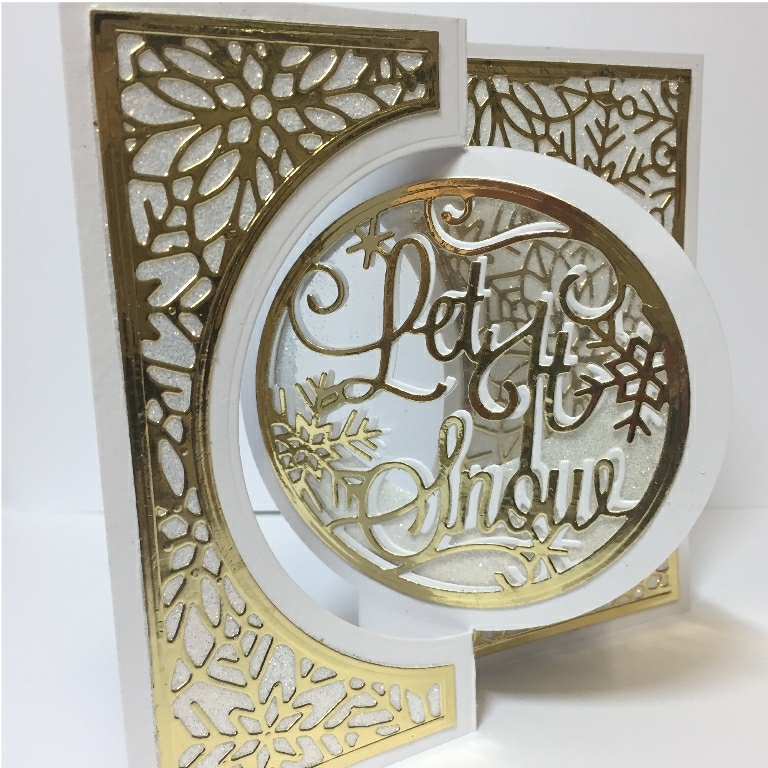 Judith has used the Die’sire Create-a-Card Kinetic Dies and Let it Snow inlay dies to make this stunning glittery card. 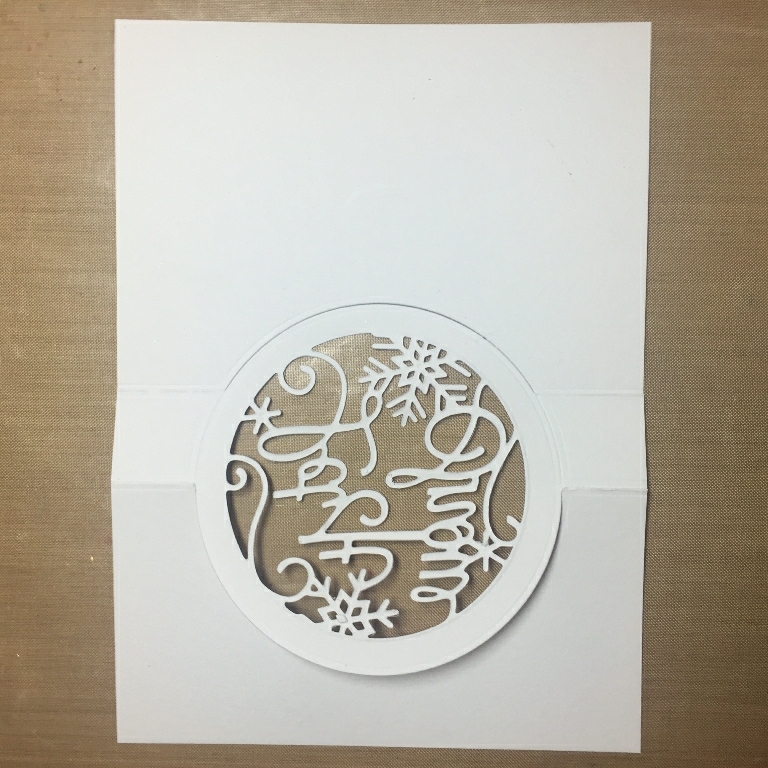 Cut and emboss the inlay sentiment ‘Let it Snow’ into the circle in the cut card as shown. 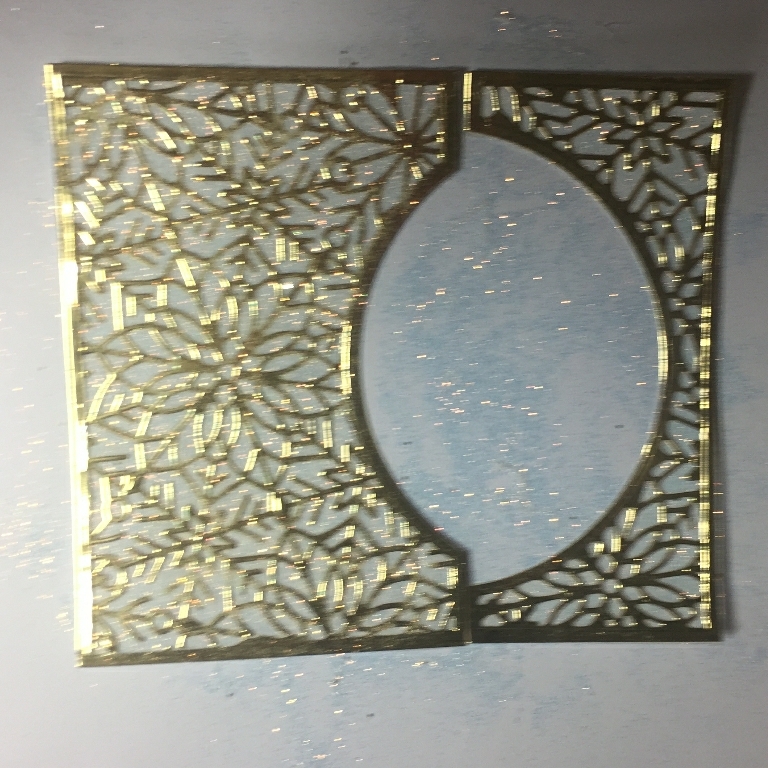 Cut and emboss the snowflake overlays using Gold luxury card and stick onto one side of each Stick it mat. 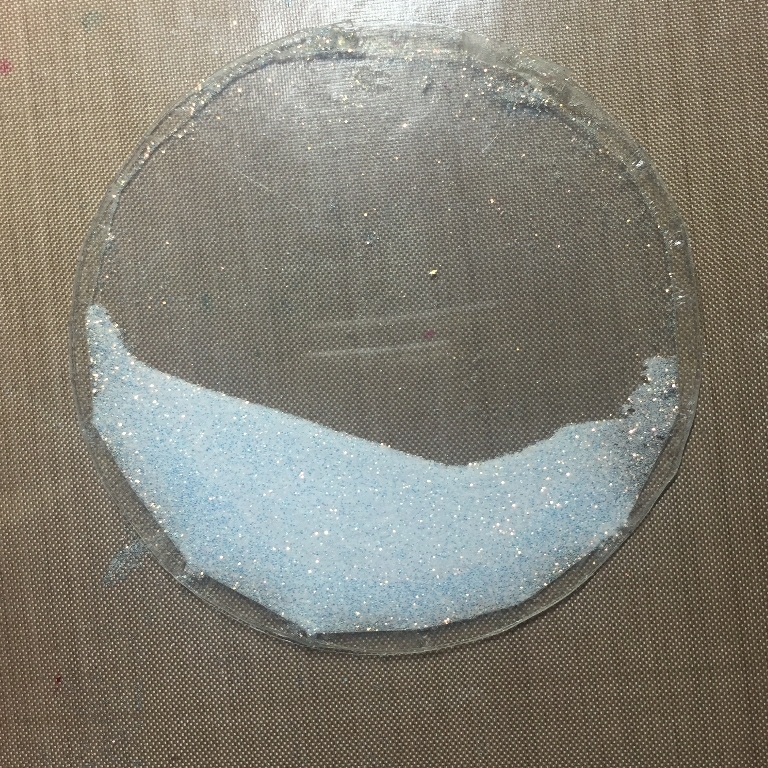 Sprinkle the overlays with a fine iridescent glitter filling the spaces in the design onto the Stick it mat – I rubbed it in with my finger then placed the backing paper from the Stick it on top and rolled over with a brayer to make sure it is all stuck well and filled all the spaces. Peel the backing from the Stick it on the inlays and adhere to the two sides of the card as shown (the sentiment will be face down when the card is laid flat). 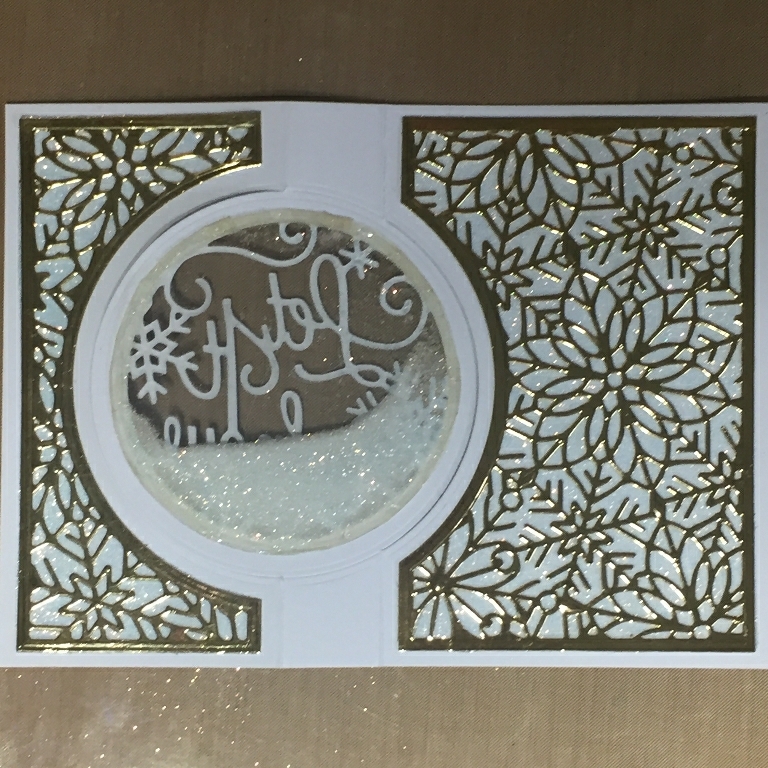 Cut two circles of acetate using the circle mat die and stick together using red liner tape for a firm seal. Leave a small opening at the top. 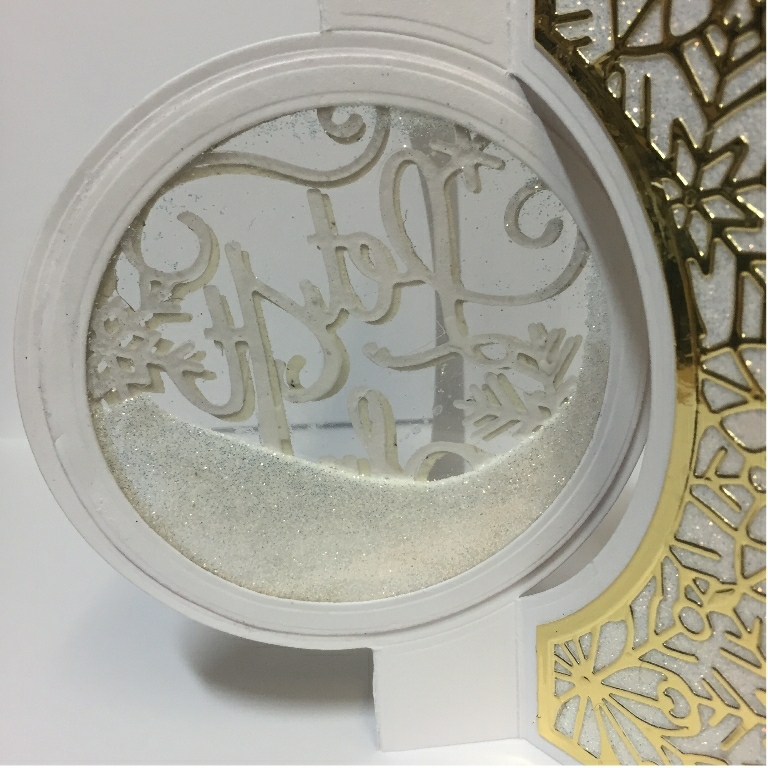 Pour iridescent glitter into the pocket through the top space to around ¼ full, then seal up the space in the pocket with red liner tape. 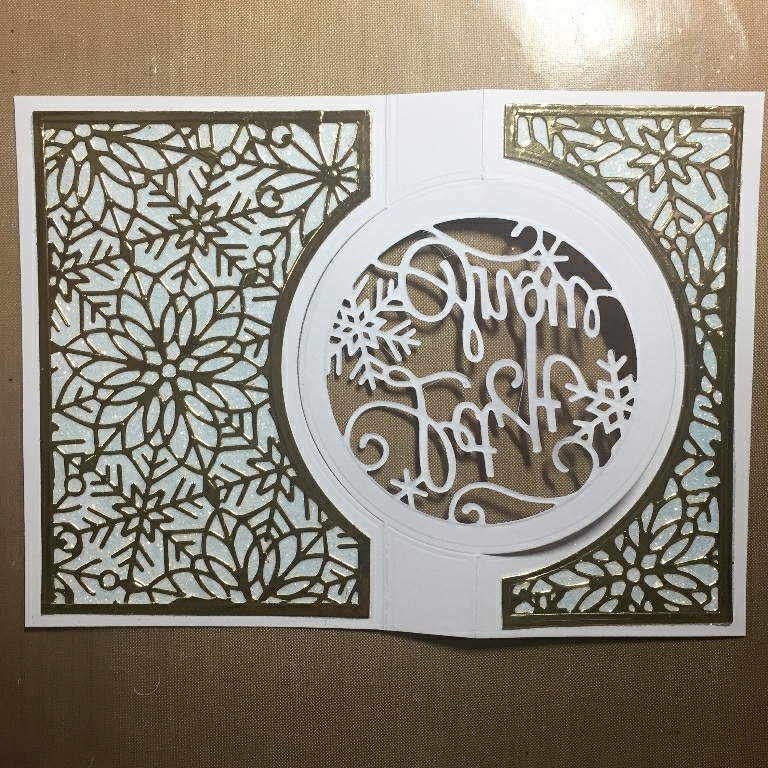 Stick another line of red tape around the outer edge of the acetate pocket and stick to the back of the cut-out sentiment as shown, then cut a ring of white card with two circle dies to cover the edge of the pocket and tape. 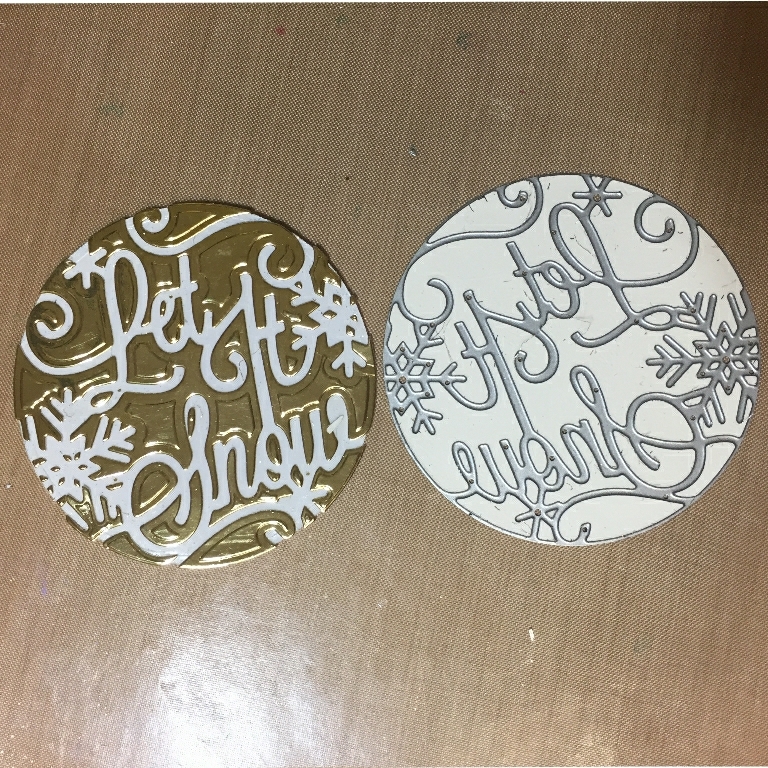 Finally cut the ‘Let it Snow’ sentiment again in gold luxury card, this time using the die and circle mat to create a circle sentiment to cover the sentiment cut out of the original card. 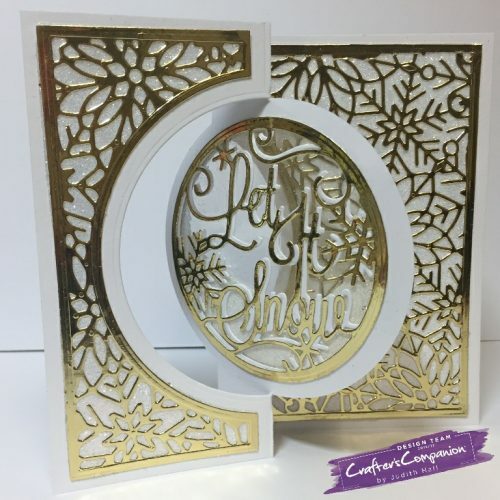 Stick it slightly offset onto the front of the sentiment using tacky glue and stick and stay to create a white shadow effect as shown.